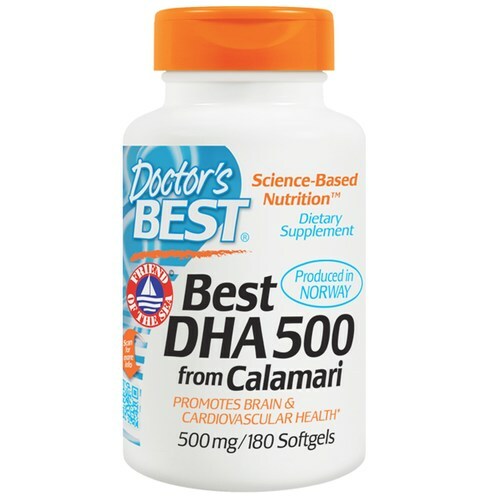 Doctor's Best DHA 500 from Calamari is naturally lemon flavored. Notas: Not suitable for vegetarians. Contains nothing other than listed ingredients. Recomendações de uso: For maintenance take 1 softgel daily after a meal. For additional memory and learning support take 2 softgels daily. For heart and other cardiovascular protection take 3 softgels daily.